We provide accredited ISO 9001 Certification Services to our clients. This certification is applicable to any manufacturing, trading or servicing organization including all types of industries like health care institutes, hotels, call centers, schools and various other sectors. These certification is considered as product neutral standards, which gives the requirements for quality management systems. It is now firmly established as the globally implemented standard for providing assurance about the ability to satisfy quality requirements and to enhance customer satisfaction in supplier-customer relationships. 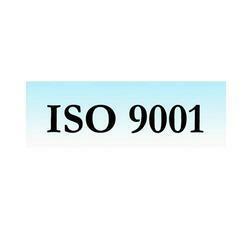 We offer ISO 9001 certification services in Delhi, India. We are an accredited ISO 9001:2008 registrar. Contact us for ISO 9001 certification services from Delhi, Mumbai, Kolkata & Chennai. CDG Certification Limited provides IAS (America) accredited ISO 9001:2015 certification in India & worldwide. CDG provides QMS certification services in India. Banking on the honorable management of talented and well-qualified professionals, we are highly immersed in offering an exceptional assortment of Accredited ISO 9001:2015 Certification Services to our customers. ISO 9001:2015 is the international standard that specifies demands for a quality management system (QMS). Organizations use the standard to demonstrate the ability to consistently provide services and products that meet customer and regulatory requirements. In September 2015, the new version of ISO 9001 has been released in its final form known as ISO 9001:2015. ISO 9001:2015 is being hailed as the best thing since sliced bread. The changes to ISO 9001:2015 from ISO 9001:2008 incorporate input from manufacturers and service providers, change the focus to customers, and help organizations to use the process approach to achieve outcomes. Now every organisation has to upgrade it's QMS to ISO 9001:2015. CDG is a pioneer ISO 9001:2015 certification company in India. The body responsible for updating the standard is ISO technical committee 176 (ISO/TC 176). The committee began planning for the ISO 9001:2015 revision by hosting several open workshops with current users of ISO 9001. One important background element to the 2015 update is the ISO strategy to create a common approach to management system standards. This common approach will apply to all Type A (certification) standards. ISO 9001:2015 will define risk as the 'effect of uncertainty'. Therefore, all risks relating to quality, safety, commercial or the environment. All ISO standards are reviewed every five years to establish if a revision is required to keep it current and relevant for the marketplace. The future ISO 9001:2015 will respond to the latest trends and be compatible with other management systems such as ISO 14001. ISO 9001, the world's leading quality management standard, is under revision, with an updated version due by the end of 2015. ISO 9001:2015 is the international standard that specifies requirements for a quality management system (QMS). Organizations use the standard to demonstrate the ability to consistently provide products and services that meet customer and regulatory requirements. ISO 9001 was first published in 1987 by the International Organization for Standardization (ISO), an international agency composed of the national standards bodies of more than 160 countries. ISO 9001:2015 applies to any organization, regardless of size or industry. More than one million organizations from more than 160 countries have applied the ISO 9001 standard requirements to their quality management systems. ISO 9001:2015 will be more compatible with other management systems, such as ISO 14001, making it more effective and efficient to integrate management systems. Every company registered to ISO 9001:2008 will be impacted and will have until September 2018, three years from the release date, to upgrade to ISO 9001:2015. Most companies will be able to link their upgrade to their normal recertification assessment. Contact CDG for ISO 9001:2015 certification of your companies. We are involved in presenting an exclusive range of Best ISO 9001:2015 Certification Body in India. A certification body is directly authorized through ISO channel to issue ISO certificates. 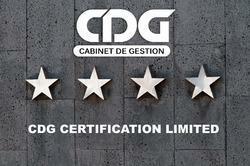 CDG is one of few directly accredited ISO certification registrars. 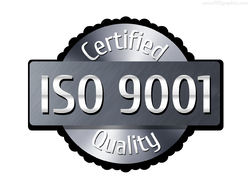 Apart from this, ISO 9001 certificate has now become a symbol of the professional company. CDG is one of most prominent ISO 9001 certification body / registrars of India. A certification body is directly authorised (Accredited) through ISO channel (accreditation board) to issue ISO certificates. CDG is one of few directly accredited ISO certification registrars. CDG certification limited is not a consultant / agent. 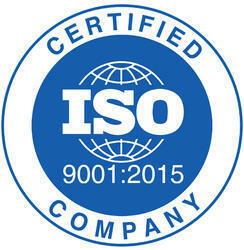 ISO 9001 certificate has now become symbol of professional company. ISO 9001 certificate is today required to participate in almost all type of business tnders. 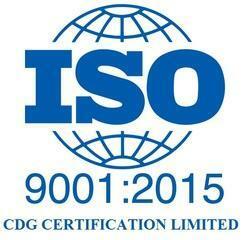 So if you are thinking for ISO 9001:2008 certificate, think of CDG Certification Limited. We have issued ISO 9001 certification in almost all type of industry segments. Our ISO 9001 certification service is preffered in leading industries of India. ISO 9001 Certification in Haldia, ISO 9001 Certification in Bhubaneshwar, ISO 9001 Certification in cuttack, ISO 9001 Certification in Sonepat, ISO 9001 Certification in Rohtak, ISO 9001 Certification in Bhopal, ISO 9001 Certification in Satna, ISO 9001 Certification in Riwa, ISO 9001 Certification in Raipur, ISO 9001 Certification in Lucknow, ISO 9001 Certification in Allahabad, ISO 9001 Certification in Visakhapatnam, ISO 9001 Certification in Goa, ISO 9001 Certification in Daman, ISO 9001 Certification in Siliguri, ISO 9001 Certification in Dimapur, ISO 9001 Certification in Kota, ISO 9001 Certification in Udaypur, ISO 9001 Certification in Mysore, ISO 9001 Certification in Rourkela, ISO 9001 Certification in Bhiwadi, ISO 9001 Certification in Rewari, ISO 9001 Certification in Aligarh, ISO 9001 Certification in Agra, ISO 9001 Certification in Meerut, ISO 9001 Certification in Moradabad, ISO 9001 Certification in Delhi, ISO 9001 Certification in Gurgaon, ISO 9001 Certification in Noida, ISO 9001 Certification in Faridabad, ISO 9001 Certification in Manesar, ISO 9001 Certification in Ghaziabad, ISO 9001 Certification in Ambala, ISO 9001 Certification in Chandigarh, ISO 9001 Certification in Dehradun, ISO 9001 Certification in Haridwar, ISO 9001 Certification in Jaipur, ISO 9001 Certification in Alwar, ISO 9001 Certification in Jodhpur, ISO 9001 Certification in Kanpur, ISO 9001 Certification in Ahmedabad, Surat, ISO 9001 Certification in Vadodara, ISO 9001 Certification in Vapi, ISO 9001 Certification in Rajkot, ISO 9001 Certification in Gandhinagar, ISO 9001 Certification in Nashik, ISO 9001 Certification in Aurangabad, ISO 9001 Certification in Nagpur, ISO 9001 Certification in Pune, ISO 9001 Certification in Thane, ISO 9001 Certification in Mumbai, ISO 9001 Certification in Bangalore, ISO 9001 Certification in Chennai, ISO 9001 Certification in Hyderabad, ISO 9001 Certification in vijaywada, ISO 9001 Certification in Delhi, ISO 9001 Certification in coimbatore, ISO 9001 Certification in Baddi, ISO 9001 Certification in Solan, ISO 9001 Certification in Kolkata, ISO 9001 Certification in Durgapore, ISO 9001 Certification in Kota, ISO 9001 Certification in Udaypur, ISO 9001 Certification in Mysore, ISO 9001 Certification in Rourkela, ISO 9001 Certification in Bhiwadi, ISO 9001 Certification in Rewari, ISO 9001 Certification in Aligarh, ISO 9001 Certification in Agra, ISO 9001 Certification in Meerut, ISO 9001 Certification in Moradabad, ISO 9001 Certification. With our rich industrial experience, we are offering ISO 9001:2008 Certification Services. The ISO 9000 family of standards is related to quality management systems and designed to help companies ensure that they meet the demands of customers and other stakeholders while meeting regulatory and statutory requirements related to the product. The ISO 9000 family of standards is related to quality management systems and designed to help organizations ensure that they meet the needs of customers and other stakeholders while meeting statutory and regulatory requirements related to the product. The standards are published by ISO, the International Organization for Standardization, and available through National standards bodies. ISO 9000 deals with the fundamentals of quality management systems, including the eight management principles on which the family of standards is based. ISO 9001 deals with the requirements that organizations wishing to meet the standard have to fulfill. ISO 9001:2008 is the International Standard for Quality Management Systems (QMS).It provides your company with a set of principles that ensure a common sense approach to the management of your business activities to consistently achieve customer satisfaction. Customer satisfaction - through delivery of products that consistently meet customer requirements Reduced operating costs - through continual improvement of processes and resulting operational efficiencies Improved stakeholder relationships - including staff, customers and suppliers Legal compliance - by understanding how statutory and regulatory requirements impact on the organization and its your customers Improved risk management - through greater consistency and trace ability of products and services Proven business credentials - through independent verification against recognized standards Ability to win more business - particularly where procurement specifications require certification as a condition to supply. Our Company is the well-known name in the industry we are engaged in offering the best quality ISO 9001 Certification Service. The ISO 9000 family of standards is a guideline on good quality management practices that consists of standards and guidelines relating to quality management systems and related supporting standards. 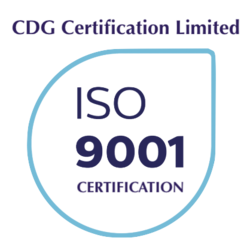 CDG Certification Ltd. counted among the leading firms that are engaged in rendering services for ISO 9001 Certification Services. The adoption of a quality management system should be a strategic decision of an organization.The ISO 9000 family of standards is a guideline on good quality management practices, which consists of standards and guidelines relating to quality management systems and related supporting standards. Published on 14th November 2008 it was prepared by technical committee ISO/TC 176, quality management and quality assurance, Subcommittee SC 2, quality systems. It is regardless of activities of the organization, whether it is in the private or public sector against which an organization can be certified. ISO 9001:2008, ISO 14001:2004, ISO 22000:2005, ISO 27001:2005, ISO 13485:2003, OHSAS 18001, HACCP, CE Marking, C-TPAT, RoHS, REACH Compliance, US FDA Registration, ISO / PAS 17712, SA8000, BSCI, SEDEX, GMP, Who GMP, GLP, GHP etc. Our organization is a foremost name in the industry, engaged in offering a wide assortment of ISO 9001 Certification Services to our clients. Our service is rendered by our talented professionals as per the industry quality standards. Ensure to high client satisfaction, we provide these services at market leading price to the clients. 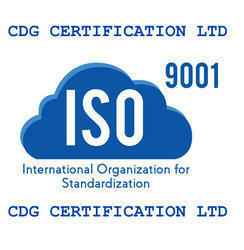 CDG provides best ISO 9001 certification services in Delhi. 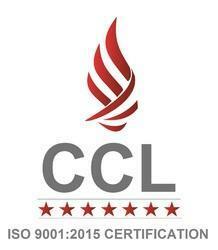 ISO 9001 certificate provider in Delhi. ISO 9001 certification body in Delhi, ISo 9001 registration in Delhi, ISO certificate providers in Delhi. Our iso 9001 certification process is very easy. If you are confused how to get ISO 9001 certification simply call us & know the ISO certification process. We are offering a wide array of ISO 9001 Certification. Our offered services are highly appreciated by clients for their low cost and accurate results. Also, these services are rendered by employing highly experienced team members.Further, offered services are available at the fair market price. ISO 9001 Certification in Mumbai CDG provides best ISO 9001 certification services in Mumbai, ISO certification body Mumbai, ISO 9001 Registration Mumbai, ISO 9001 certificate providers in Mumbai. Backed by a team of highly experienced professionals, we are actively involved in offering a broad assortment of ISO 9001:20015 Certification Services to our customers. ISO 9001 certification standard is based on customer satisfaction & continual improvement of the working system. By applying this standard a company ensures that their management system is competent to achieve company's objectives. Our organization is offering an astonishing range of ISO 9001 Certification (Accredited). Our certification helps the organizations to achieve quality management standard in their day-to-day working. In addition to this, our offered services are rendered by well-known experienced engineers. As per the precise requirements of the customers, we are presenting the best quality array of ISO 9001:20015 Certification to our prestigious clients. 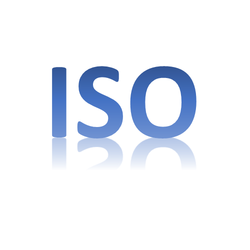 ISO certificate gives confidence to your customers in products or services. Also, ISO 9001:2008 certification is most popular quality certification in the world. Through regular research and development, we are offering an exclusive collection of ISO 9001:2015 Certification Services to our valuable clients. ISO 9001:2015 positions the new version of the standard for integral part of an organization’s efforts towards the broader aim of development and promotes it as a tool for improving an organization’s overall performance. ISO 9001:2015 positions the new version of the standard as an integral part of an organization’s efforts towards the broader aim of sustainable development and promotes it as a tool for improving an organization’s overall performance. ISO 9001 is the international standard that sets out the criteria for a quality management system (QMS). Based on seven quality management principles, the Standard will help you to continually monitor and manage quality across all of your operations, as well as benchmarking your organisation’s performance and service. On 1 October 2015 the substantially revised and updated ISO Standard, ISO 9001:2015 was published. Businesses who are ISO 9001 certified now have up to 3 years to transition from ISO9001:2008 to the new ISO9001:2015. As we are sure you are already aware, the publication of the ISO 9001:2015 standard is fast approaching, and those who are already certified to the ISO 9001:2008 standard need to be ready and prepared for their first 2015 standard audit. The revised ISO 9001 offers more flexibility regarding process documentation as a part of the management system. This applies to the documentation of management, strategy and core processes as well as support processes such as maintenance and qualification of persons. For very simple processes, for example, clear verbal instructions in conjunction with training material may be sufficient. ISO 9001 is the world’s most used management system standard for good reason. It ensures businesses are not just doing ‘enough’, but taking additional steps to further reach their potential. The aim is to become more efficient, reliable and to enhance reputation and trust. ISO 9001 certification should track the progress of the revision process as well as information regarding important changes to the standard. Organizations may also want to consider beginning the process of reviewing their existing quality management system for possible areas of change under the new requirements. ISO 9001 certification should track the progress of the revision process as well as information regarding important changes to the standard. Organizations may also want to consider beginning the process of reviewing their existing quality management system for possible areas of change under the new requirements. 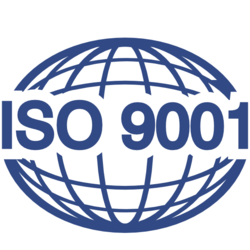 ISO 9001 was first published in 1987 by the International Organization for Standardization (ISO), an international agency composed of the national standards bodies of more than 160 countries. The current version of ISO 9001 was released in September 2015. A quality management system (QMS) is a set of policies, processes and procedures required for planning and execution (production/development/service) in the core business area of an organization. (i.e. areas that can impact the organization's ability to meet customer requirements.) ISO 9001:20015 is an example of a Quality Management System. CDG Certification Ltd is a pioneer ISO certification body of India. Contact us for ISO 9001:2015 transition or new certification. With our experience, we are offering a vast collection of Quality Management Certification Services to our valued clients. These are widely used by the various organizations. Moreover, these certification services can be customized as per clients’ requirements. Further, offered services are available at the fair market price that fit each client's budget. We hold expertise in offering the wide gamut of Get ISO 9000 Certification in the industry. The ISO 9000 family of standards is related to quality management systems and designed to help companies ensure that they meet the demands of customers and other stakeholders while meeting regulatory and statutory requirements related to the product. Our organization is offering an astonishing range of ISO 9001 QMS Certification Services. The changes to ISO 9001:2015 from ISO 9001:2008 incorporate input from manufacturers and service providers and change the focus to customers, and help organizations to use the process approach to achieve outcomes. Also, now every organization has to upgrade its QMS to ISO 9001:2015. In September 2015, the new version of ISO 9001 has been released in its final form known as ISO 9001:2015 ISO 9001:2015 is being hailed as the best thing since sliced bread. The changes to ISO 9001:2015 from ISO 9001:2008 incorporate input from manufacturers and service providers, change the focus to customers, and help organizations to use the process approach to achieve outcomes. Now every organisation has to upgrade it's QMS to ISO 9001:2015. 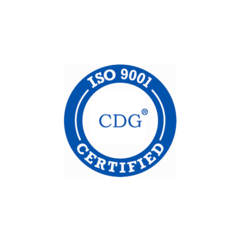 CDG is a pioneer ISO 9001:2015 certification company in India. The body responsible for updating the standard is ISO technical committee 176 (ISO/TC 176). The committee began planning for the ISO 9001:2015 revision by hosting several open workshops with current users of ISO 9001. Being one of the reputed organizations, we are offering a wide range of ISO Certification Company to our precious clients. ISO Certification evaluates the organization through internal and external audits. It is always improving the systems and methods of the organization. Also, it helps in improving the quality of products. We are offering a wide array of ISO 9001 Certification in Most Competitive Fee. ISO 9001:2008 Certification is a quality management standard. Also, this offered certification can be applied to all types of organizations. In addition to this, it doesn't matter what size they are or what they do. 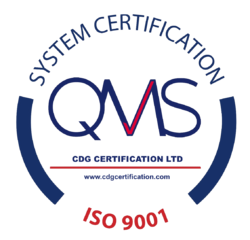 As per the precise requirements of the customers, we are presenting the best quality array of ISO 9001 Certification for Quality Management System to our prestigious clients. This ISO 9001 certification related quality is a quality management standard. It applies to all types of organizations. Also, it can help both product and service oriented organizations. ISO 9001 Certification Related Quality is a Quality Management Standard. It applies to all types of organizations. It doesn't matter what size they are or what they do. It can help both product and service oriented organizations. In order to keep pace with changing trends, we are offering a wide assortment of ISO 9001 2008 Certification. Our offer certification service is used by many organizations. Before the end execution, our services are rigorously examined on parameters of quality for its accurate results. Further, offered services are available at the fair market price. Backed with years of industry experience, we have been able to offer the finest collection of ISO 9000. The standards are published by ISO (International Organization for Standardization), and available through National standards bodies. ISO 9000 standards are deals with the fundamentals of quality management systems which including the eight management principles on which the family of standards is based. We are a leading organization of the industry, dedicatedly engaged in offering an optimum quality array of ISO 9001 2015 Quality Management for our esteemed customers. Provided assortment of these services is rendered under the assistance of highly talented workforce. Apart from this, we are accredited certification registrar for ISO 9001:2015 Quality Management. CDG provides ISO 9001 2015 Quality Management System certification in Delhi, Mumbai, Kolkata, Banaglore & other parts of India. We are accredited certification registrar for ISO 9001:2015 Quality Management. We are instrumental in providing an ISO Registration Services. We provide ISO 9001 registration in various states of India. Our service is rendered by our talented professionals as per the industry quality standards. Furthermore, our valued clients can avail this ISO registration services from us at leading market prices. CDG is a leading ISO registration company in India. 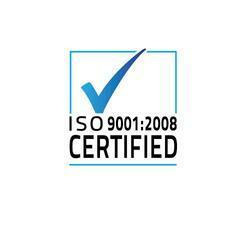 We provide ISO 9001 registration in Delhi, Mumbai, Kolkata, Bangalore India. Backed by a latest and strong infrastructural setup, we are offering the best quality approved an array of ISO Certification Facility in the market. Our offered services are highly appreciated by clients for their low cost and accurate results. Also, these services are rendered by employing highly experienced team members. Organizations certified to the ISO 9001:2008 standard will have a three-year period to transition to ISO 9001:2015. · Measurement, analysis, and improvement of the QMS through activities like internal audits and corrective and preventive action. CDG Certification Ltd (CDG) is a Certification Body head office located in India which has maximum Certification schemes, and renowned worldwide for it's ISO Certification services.CDG is an Independent Assessment and Certification Body offering value added Auditing for Certification for ISO Standards, Inspection, Training, Social Audits Services Worldwide. CDG formed with the objective to operate as Auditing Firmthat is truly receptive tounderstand client need and to ensure systems are in place, that too in delivering its Auditing and Certification Services. CDG certification and auditing services includesISO Certification- ISO 9001, ISO 14001, OHSAS 18001, ISO/TS 16949 - IATF 16949, ISO 22000, ISO 27001, ISO 13485, ISO 20000, ISO22301& holds accreditations. ISO 9001 Standardis widely recognized standard to specify requirements for Quality Management System in all industries. ISO 9001 Standard provides effective Risk Assurance basedQuality Management Systemfocusing QMS principles enhancement in Customer Satisfaction, Leadership, Engagement of People, Process Approach, Improvement, Evidence based Decision Making and Relationship Management. ISO 90012015 enables Risk based thinking while implementing QMS, this means to identify Risks and Opportunities in processes to establish an effectiveISO 90012015Quality Management system with a strong customer focus, the motivation and implication of Top Management, the process approach and continual improvement. ISO 90012015 is expected to be much less rigid than previousversions, and to incorporate more business management terminologyand concepts. Documentation requirements are much lessprescriptive and left more to the organisation to judge its own needs. The standard is written for the benefit of organisations, not auditors.There are likely to be more challenges to auditors to understand andrecognise the extent and type of evidence that would be acceptable toconfirm compliance to the 2015 requirements. ISO 90012015 auditors will be engaging in dialogue with businessleaders, seeking understanding and explanations from them aboutpolicy, strategy and quality objectives, and ensuring these arecompatible. You will need to prepare for change and adapt your quality management system to meet the new requirements and transition timelines. With CDG as your partner we will help you to understand the changes, interpret the new concepts and act on the implications. Established in the year 2007 at New Delhi, India, CDG is managed by a team of highly experienced & dedicated professionals. It holds extensive expertise in the field of Third Party Inspection, Management System certification and Training. CDG Management and its entire team have commitments for maintain the impartiality and confidentiality during delivery of services. 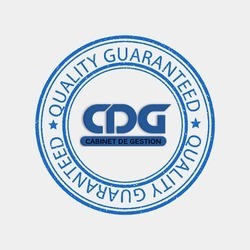 CDG is a fast growing company within a short span of its establishment CDG has builtup the credibility of its services in the field of Management System certification, Third Party Inspection and Training in many countries across the world. CDG is one of biggest ISO certification bodies of India. ISO 90012015 is an international standard related to quality management, relevant for any organization from all types of business sectors to be well established around the world as an invaluable quality management system. Provide a structure for taking an organized approach for managing your business processes to meet the quality requirements and also help your organization to improve your management processes to complete globally. Its goal is to provide Quality Management System that will be beneficial for your organization to help manage your business effectively and put in place best practice methodology. ISO 90012015 authorization will give your organization the quality systems that will provide the authority to better customer satisfaction, staff motivation and continual improvement. ISO 9001 certification results into good management practices. The certification aims at providing a global standard that spells out quality and trust. To meet the requirements for the ISO 9001 certification, an organisation should demonstrate its ability to consistently provide products that meet applicable statutory & regulatory requirements and continue to meet changing expectations of customers. The current version of ISO 9001 is ISO 90012015. This new version takes account of the increasing complexity of the environment within which organisations have to work and also focus more strongly on the special features and needs of service providers. Also a new High Level Structure will create greater harmony between ISO 9001 and other management system standards.Further, the responsibility and autonomy of organisations will be much more strongly emphasised; the same applies to the importance of the process approach and handling of risks. This standard continues to be the only non sector specific certification standard for quality management systems and maintains its most important quality objectives, such as customer satisfaction and generation of compliant products and services. CDGcertify your organisation as being committed to continual improvement and customer satisfaction. Our team of competent auditors ensures your organization's fulfillment of customer as well as statutory & regulatory requirements. 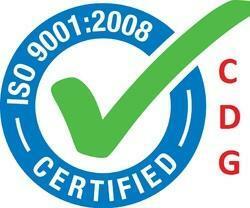 CDG is one of leading ISO certification companies of India.